When it comes to food slicers, style is probably not what comes to mind when thinking of how they look. 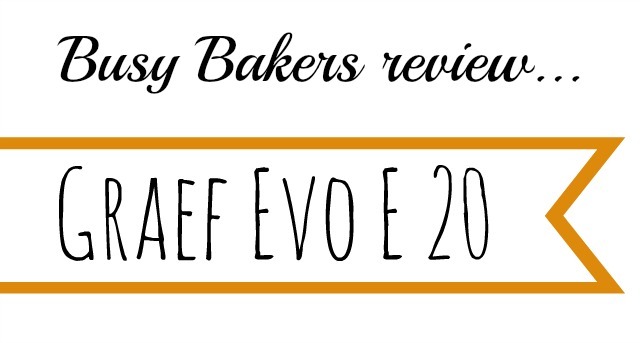 However, this Graef EVO E 20 food slicer is just that, a gorgeous piece of kitchen equipment that will look great in any kitchen and get people talking. Of course it doesn’t just sit there and look pretty, it really is a great piece of machinery too! Check out our Graef slicer review and see what all the fuss is about. It’s a truly striking bit of kit that you can have in your home. 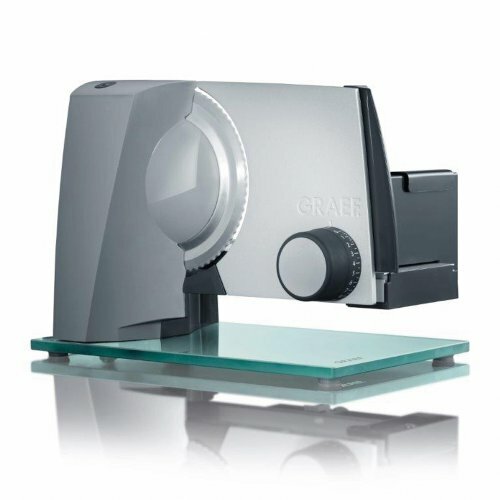 If looks are important to you then you’ll probably not search any further than the Graef slicer. Thankfully it has a lot more going for it than just it’s looks. It’s a meat slicer and a bread slicer as well as easily cutting through cheese and vegetables. It does each job with ease and collects it on a (rather small) tray that comes with the slicer. It’s definitely not a budget option for a food slicer but if you’re looking for something solidly built that will last a long time I don’t think you can go very wrong with this one. The 17cm circular blade is adequate for cutting all sorts of meat from your Sunday joint to deli meat. It’s also great for slicing bread easily, vegetables, cheese anything that you feel the need to slice thinly! It will slice from 1mm to about 20mm in thickness so really great for a variety of jobs. You vary the thickness using the dial at the side of the machine. It removes easily for cleaning and spare blades can also be bought on Amazon as well. The slicer is operated by two buttons at the rear and top of the machine. This can be done by one hand – you can hold the buttons down and slice or if you press the buttons in a specific order it will keep the blade running for you. You simply press one of the buttons again to stop the motor. slices meat, bread, cheeses and other foods. Although this video is in German you’ll get a good look at what the slicer looks like. As well as giving my own thoughts and ideas on a product I really like to look around the internet to get a general view of what other buyers people have said about this machine. I was really expecting that people wouldn’t like the price of this machine – it’s in the premium price range – but almost every review I’ve seen on Amazon says that it is well worth the cost. It does the job so well that it seems that it’s worth it for almost everyone who buys it! There are very few negatives around, a few said that the turning dial was a little stiff on it and that it was fiddly to clean at first but that you get used to it and it gets quicker. Overall I think that this is an excellent machine. If you know you’ll do a lot of slicing and want to get the most out of your breads and meats then you’ll find this one an excellent purchase. Oh, and it looks awesome on the work surface! You can see my overall buying guide, where this is featured, for the best food slicer here.